An annual physical examination can validate that you are as healthy as you feel. It can also alert you to health problems before they become chronic, leading to a better prognosis. 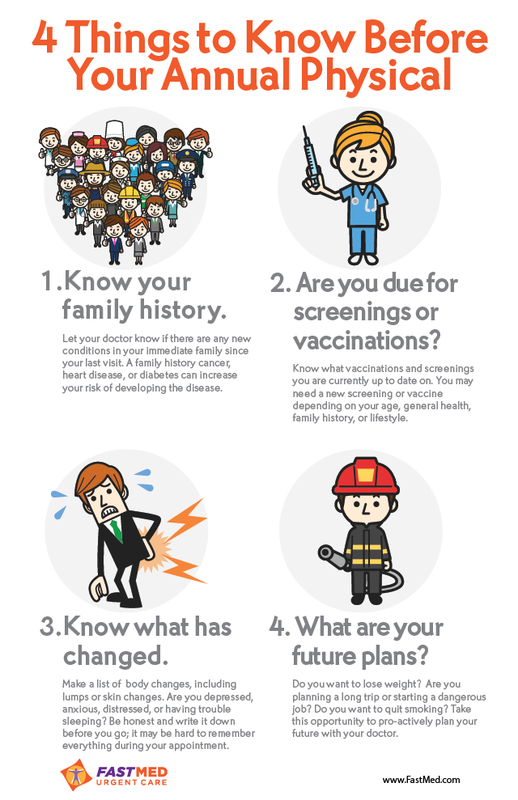 Here are four things to make sure that you know before you walk into the clinic for your annual physical exam.